Jeffrey Sham, Barrister-at-Law and Choir Conductor, prides himself on his ability to remain composed as an advocate and a maestro, drawing parallels between what is expected of him on and off the stage. 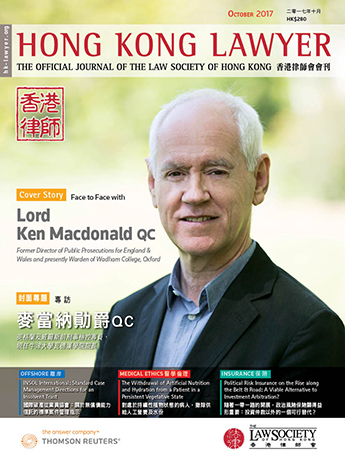 In this issue, he speaks with Hong Kong Lawyer about his background in music and how he has leveraged his personal and professional talents to connect with other musical mavens within Hong Kong’s legal community through conducting the HKU Law Alumni Choir. Mr. Sham was called to the Bar in 2010. 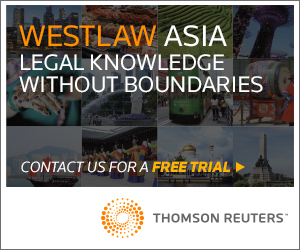 He read law at the University of Surrey in England from 2005 to 2008 and completed his Postgraduate Certificate in Laws at the University of Hong Kong in 2009. 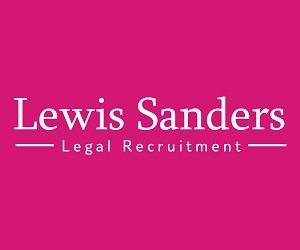 He specialises in both civil and criminal work, especially in the areas of company law, contractual disputes, personal injury and commercial fraud, and is also a CEDR Accredited Mediator, Fellow of the Hong Kong Institute of Arbitrators and a Member of the Chartered Institute of Arbitrators. Where did you develop your passion for music? 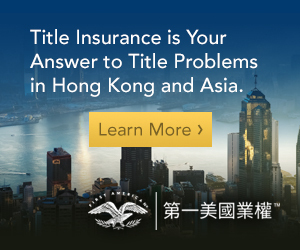 Throughout my youth, I received classical vocal training from Ms. Yim Wai and Mr. Joe Chan and competed in many music competitions, where I won numerous prizes at the annual Hong Kong Schools Music Festivals both in vocal singing and in instrumental playing. I also studied choral conducting under Mr. Geoffrey Ko, an expert in oratorio. While at secondary school, I was the student conductor of St. Paul’s Co-educational College, where I gained invaluable experience in both choral and orchestral conducting. This experience really set the stage for me to take up the role as the conductor of the University of Hong Kong Law Alumni Choir and the Hop Yat Church Choir. In addition to singing and playing the double bass, I also play the violin and piano. I passed The Associated Board of the Royal Schools of Music’s examinations with distinctions and merits and have thus attained Grade Eight in singing, violin and piano and DipABRSM in double bass. For several years, I was also the principal double bass player for the Hong Kong Medical Association Orchestra. When was the HKU Law Alumni Choir (the “Choir”) formed and whose idea was it to form it? It all started at the 40th Anniversary of the Faculty of Law at HKU in 2010. As you can probably guess, these types of big events always have huge dinners with many distinguished guests and even more distinguished speakers. Ms. Lucy Yen who was the head of the HKU Law Alumni Association at the time, wanted to make a change and not to have just another talk-eat-talk event. The idea to form the HKU Law Alumni Choir was born. From there, it was really Lucy who took the lead in inviting alumni to join the ad hoc choir to perform at the celebration dinner. At the time, the coordinator for the singers was Ms. Cleresa Wong. Afterwards, since we had such a great time before a jury of our peers (and were not booed offstage! ), we decided to make this a permanent thing and to formally establish a real choir. How many members do you currently have and how often do you practice? It may surprise you, but we actually have some 280 HKU Law alumni and students on the mailing list. About a third of them will be involved in the concert this year. Most will be singing and others will be in the orchestra. Some are extremely versatile and do both, but not at the same time. We practise once or twice every week leading up to our annual concert every November. We have pretty good attendance when it’s close to the concert, but sometimes I do feel like I’m herding cats! What is the general musical background of members who join? Many of us received choral training/experience while at secondary school or university and some are still having vocal lessons. Others have had less exposure to formal music in the past and we help them by preparing recordings for their voice part. You can also find almost anything on YouTube! How many times does the Choir perform per year? Any big upcoming performances? We have one big annual concert in November each year. This year’s concert is on 5 November 2017 at the acoustically brilliant and brilliantly expensive Lee Shau Kee Grand Hall right at our own HKU. Our theme this year revolves around songs that have won or have been nominated for Academy Awards. There are classics and also recent favourites, like “Skyfall”, which, if you remember, comes from a movie about a business trip. Tickets this year will start selling on Cityline in early October. I hope you will forgive me for promoting our concert here. However, I hope you will come and support us – sponsorship is tax deductible. We also have smaller scale family events, guest performances and holiday activities from time to time. Where is the most memorable place the Choir has performed? It has got to be Loke Yew Hall in HKU – the oldest and the greatest. Lawyers like to think of themselves as being part of history, and they are right sometimes. However, performing in Loke Yew Hall really surrounds you with that kind of feeling. It’s a special place for all HKU students. How do you select the music the Choir will perform? Our choir sings together for fun, not for accolades. So I always try to choose songs which the audience will love to hear, and that will be fun for our members to sing. That being said, I also try to find arrangements which are challenging for all of voice parts – I certainly don’t want our members to sleepwalk through! In the end, it is about balance, since we have a great mix of amateur and professional musicians. With lawyers being known as a contentious bunch, have there ever been any quibbles over music or soloist selections, or the like? There is no right of appeal from our subcommittee. Has or will the Choir try anything new and innovative? We choose themes each year which can include both well-known and lesser-known tunes. The audience should feel familiar and yet expand their aural horizons. A few years ago, we even tried a mini-opera “Trial by Jury” which was a great success. We usually have an orchestra and band, which is also made up of fellow HKU Law alumni and students. We haven’t collaborated with outside musicians yet, but we will see! What was the most challenging repertoire the Choir has performed? We don’t have hard or easy repertoires. We do have a wide variety of songs each year covering different time periods and styles. Some of the modern stuff with irregular rhythms or discordant notes can be pretty challenging though. If the Choir could open for any artist on tour right now, who would it be? Right now, we are quite proud that we have kept our identity of HKU Law, so we would probably see where that artist graduated from! Do you or other members ever get nervous before a performance? I would never admit to any nervousness because I am the conductor. People expect a certain image or attitude from conductors which is actually similar to what they expect from leading Counsel in Court. I’m sure some of our members do feel nervous sometimes, but there is safety in numbers! What value do you get from staying in touch with the HKU Alumni network? You’d be surprised at how different some people are when they are at work or at a networking event, versus when they are at choir. The Choir brings together old friends for impromptu reunions and lets alumni and students across the years make new friendships. Are there any other interesting tidbits you would like to share about the Choir or its members? We do have famous (and less famous) lawyer singers, but contrary to the public impression of famous lawyers, to their credit, I can say for sure we do not have any prima donnas! Our members let down their hair, put down their egos, and don exciting and tasteful costumes. Our MC is always known for funny and original jokes and dance moves. How can one join the Choir? 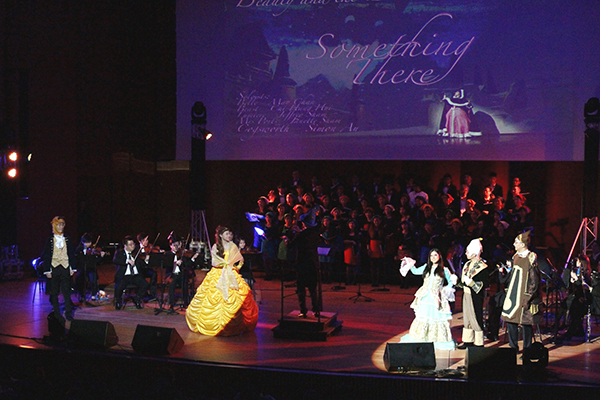 Choir's performance in 2014 with the theme "When You Wish Upon a Star" featuring songs from Disney. Choir & orchestral ensemble in last year's performance with the theme "Imagine" featuring songs from the 70s.